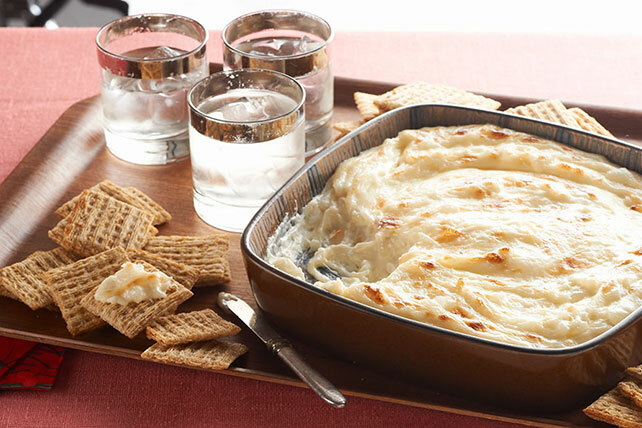 Wow your guests with this Creamy Vidalia Onion Dip. Prepare Creamy Vidalia Onion Dip, a warm and cheesy appetizer flavored with mild sweet onions, for the next dinner party or cookout you host! Save 50 calories and 7g of fat per serving by preparing with KRAFT Light Mayo Reduced Fat Mayonnaise. Prepare using KRAFT Finely Shredded Italian* Five Cheese Blend. Check out our Healthy Living recipe Vidalia Onion Dip.